They had me hook, line and sinker as soon as I saw Jeff Lemire and Kim Jacinto’s names on the cover. Although, if I’m really honest it wouldn’t have mattered who was responsible for guiding Bob Reynolds fate in Man of Two Worlds, I’d still have read it. 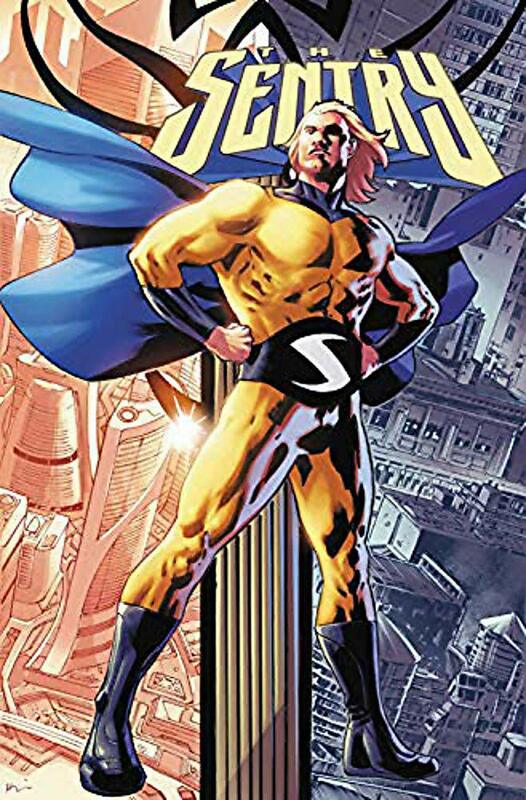 I’d have read it because it continues the Sentry mythology and because it focuses on the forgotten hero with the power of one million exploding suns who was taken out of the “game” by Iron Man and Doctor Strange for the good of all mankind. I’d have read it because of all the demi-gods and super-powered individuals in the Marvel Universe, poor broken Bob Reynolds, the most powerful of them all, is also the most human. Given gifts that surpass the dreams of mere mortals by a serum that made Captain America’s marvellous medicine seem like tasteless, watered down Kool Aid, Bob shone brightly before falling victim to his own demons. For the serum, while elevating him to godhood, also enhanced his darker side and ensured that every time the Sentry appeared, so did the Void, a manifestation of all of Bob’s darkest thoughts, feelings and emotions that became the ultimate evil incarnate and frightened Tony Stark and Stephen Strange so much that they found a way to shut it, the Sentry and Bob down for good. They made the world think that it’s most powerful hero was dead, while sparing his alter-ego, allowing Bob to live a quiet, unassuming and very normal life. No more Sentry, no more Void, just Bob Reynolds. And for a while at least, it worked. Until someone found out that Bob wasn’t as dead as the world thought he was, and if Bob wasn’t dead, neither was the Sentry and being only human and coveting that which their supposed friend and ally possessed but wasn’t allowed to share, they slowly, but surely drew their plans against him. The creator of the Black Hammer universe was the perfect choice to return Sentry to the fold. Lemire embraces human frailty in the characters he writes, he understands the innate fallibility that dwells in the hearts and minds of all men and women and he uses it to bring out the best and worst in the players who populate the stories he writes. And Bob Reynolds, a man constantly at war with his own fractured psyche and dual personality is the very definition of fallible; a prisoner of circumstance who is unable to escape the cage that his superpowers constructed. Seemingly resigned to his destiny and forced to enter an artificial construct as the Sentry very twenty fours in order to keep the Void at bay, in Man of Two Worlds Bob finally discovers what it means to be a hero as, caught in race against time to do the right thing, he’s betrayed by those he trusts the most and is forced to acknowledge the most simple of truths; one that will ultimately set him free and forever change the power dynamic of a world filled with costumed crusaders.